Chilled day today for the team to recuperate after cycling 243 miles over the past four days. A later than normal breakfast was followed by a special treat in the form of a Thai cooking class provided by one of the Thai guides. It’s amazing how many different flavours can be incorporated into a single dish with fresh and local ingredients. 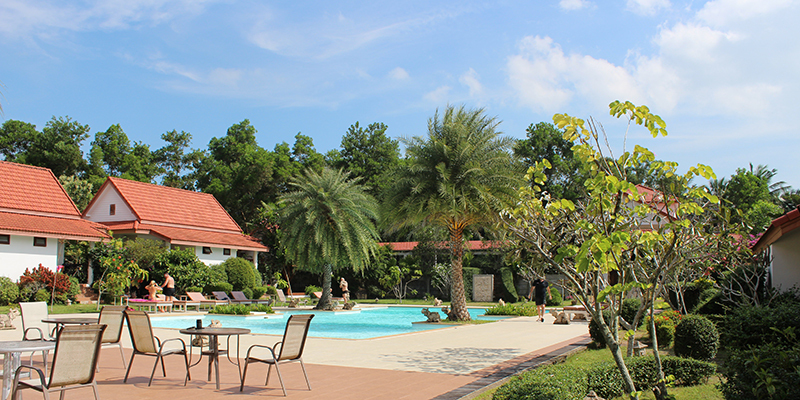 The accommodation offers an absolutely superb environment to relax before on embarking on the toughest section of the tour tomorrow, when we cross the country from the east to the west coast of Thailand. The busy and noisy capital of Bangkok now feels a million miles away from this tranquil and relaxing oasis. All the team are in good spirits and excited about the next part of our cycling adventure.